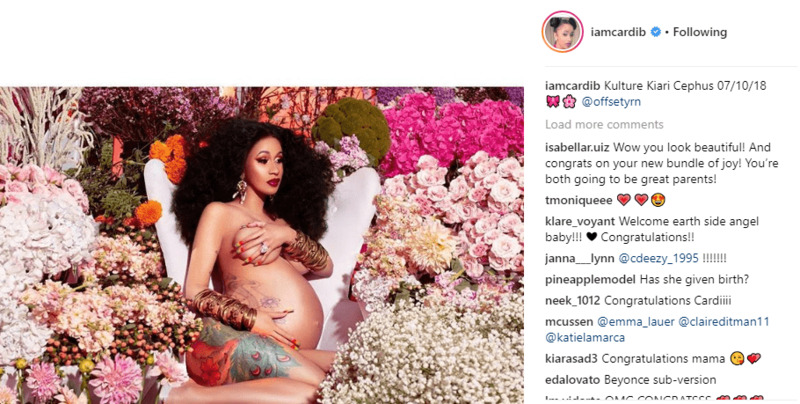 Cardi B has given birth to her first baby with husband Offset. The Bronx rapper announced the news on Instagram with a maternity photo à la Beyonce with the caption: Kulture Kiari Cephus 07/10/18. If you're wondering about the meaning of the name, Culture (with a "C") was the name of Offset's Migos album in 2017. They released their latest album in January entitled, Culture II. The baby's middle and last name is Offset's real name, Kiari Cephus. 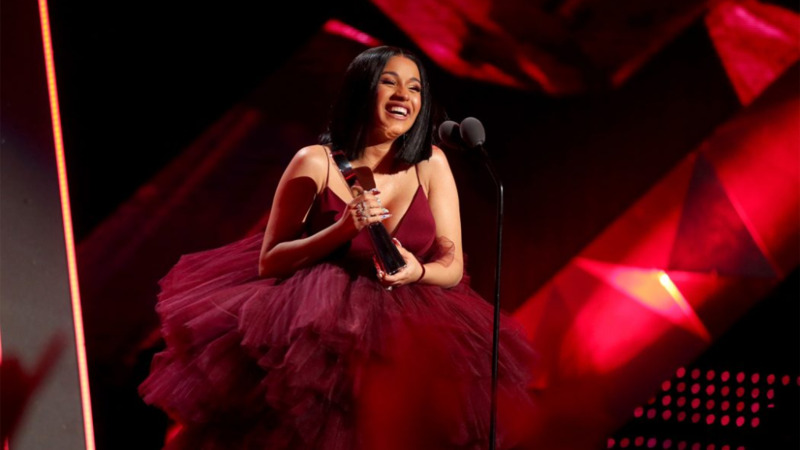 In spite of multiple rumours, Cardi B announced her pregnancy on her own terms in April while performing at Saturday Night Live (SNL). 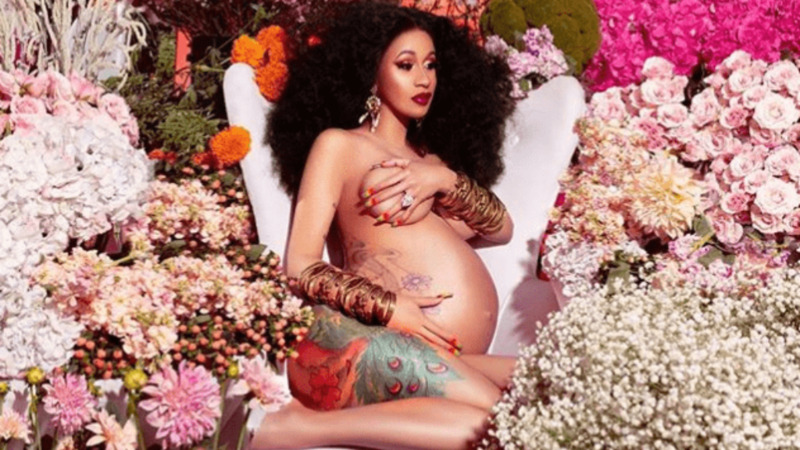 While many speculated that her pregnancy would have stunted her new career, she never stopped working, having performed at Coachella, released new music and collaborations, and dropped a few music videos. Her album Invasion of Privacy also just went Platinum. 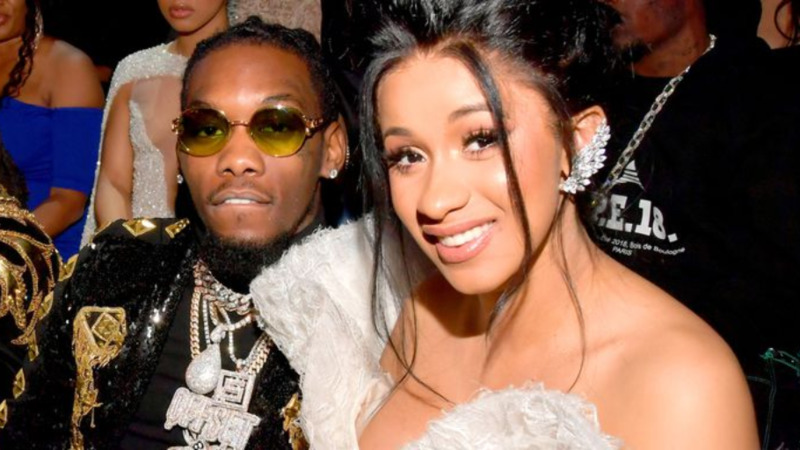 Congratulations to both Cardi B and Offset.